For the past 4 weeks I’ve been blogging and getting feedback from Small- to Mid-Sized Retailers on overall retail strategy and category management practices and approaches. I originally broached this subject based on a theory I had developed through one-on-one client training, professional speaking engagements, and larger discussions via social media. lacking definition in their overall strategy. This means that there are many business opportunities that are yet untapped by using category management in retail. This week, I am sharing and compiling the top opportunities for Small- to Mid-Size Retailers to use category management to their advantage. 1. Better define & articulate your overall strategies. 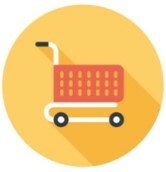 This includes consideration for the format of your stores, the types of Shoppers who shop in your stores, your targeted competition (based on who targets a similar type of Shopper), private label or store brand strategies, tactical strategies (for each of assortment, shelving, pricing and promotion), and definitions on how you work with Suppliers (including data sharing, category captaincy, additional resources, collaboration, etc.). These well-defined and articulated strategies create the rules & guidelines from which your organization and your Vendors/Manufacturers work within. It makes decisions much easier for your category management team because they have the guidelines and processes from which they can work. Who are your most loyal and heavy Shoppers and how can you better meet their needs? Start creating profiles of your Shopper and continue to build on these profiles as you learn more about them. This is one of the areas that many Retailers struggle with, but is SO important to define. Your target Shopper should never be “everyone”. Start to get to know yours better. 3. Define & own your category management approach. Remember that YOU own the process – it’s not the Vendor/Manufacturer, not data providers, but YOU. You need to create a basic process that matches well with your organization and considers what level of category management you want based on resources, knowledge, data and tools available (both internally and externally). This process should be understood and followed by your organization to create a consistent approach across categories and consistent messages to your Shoppers. Category management definition should also include your Private Label or store brands. In other words, Private Label shouldn’t be treated as an exception brand that “does its own thing”. 4. Don’t treat all your categories with equal importance. Your most important categories (sometimes referred to as “destination categories”) should have a higher allocation of resources, data and analysis put against them. These are the categories you can’t lose in — because they are the ones that draw Shoppers into your stores. Category roles help you establish the importance of each category in your store, as well as the corresponding tactics that need to be followed for each of the different roles. This once again creates a consistent approach for total store. Assigning category roles shouldn’t happen at a category level, but at a strategic corporate level for total store (in other words, it’s not the responsibility of the category manager or their vendors/manufacturers to determine the role of the category). 5. Remember your Shopper (yes, again). As you start assigning category roles and strategies and developing category plans, don’t forget your Shopper – they need to be included every step along the way in your category management approach. It’s not enough for you to define who your target Shopper is. You need to integrate their needs and priorities into the category plans that you create. 6. Be consistent in your category analysis & approach. 7. Improve your strategy and analysis on the tactics. A key learning from the surveys is that most Retailers place much more importance on pricing and promotion (and less on assortment and shelving). There are opportunities to improve understanding (including strategies, analytics and decision making) in assortment, shelving, pricing and promotion. As with #6, you need to have consistent processes and guidelines associated with each of your tactics (and hopefully the data and tools to complement them). This creates an aligned approach that ultimately impacts the Shoppers in your stores. Did I mention this already? As you make strategic tactical choices and start developing your category plans, the Shopper starts to fade from the forefront – they are usually talked about a lot in the strategic side, but in the more tactical and analytical side, sometimes they are neglected and forgotten. Use panel data, loyalty data, or any other data sources that can keep you focused on Shopper. 9. Create category plans for your categories. This was probably the piece that was the biggest “jaw dropper” for me – there are many Retailers who don’t create consistent category plans on an annual basis! Everyone has sales and profit targets, but many have no plans on how they are going to achieve those targets (or if they are even achievable!). How Retailers will use each of the tactics to influence sales based on an assessment of the category is often completely missing. Without a plan, how will sales and profit targets be met? 10. Develop the skills of your team. One of the lowest rated areas of the entire survey was about category management training (or the lack thereof). It’s interesting because Retailers often invest large budgets into front-end Point of Sale systems and Data Mining tools, including training their team on how to use these tools. But as you may have experienced, tools don’t develop skills in critical thinking or linking data results and decisions to overall strategies. Tools don’t teach teams how to drill through data (or even when it’s necessary) or turn data to insights and then into action. Herein lies a huge opportunity for many Retailers. Regardless of how big or small you are, you need to arm your team with the skills to be able to make the right choices based on what you’re trying to accomplish as an organization.